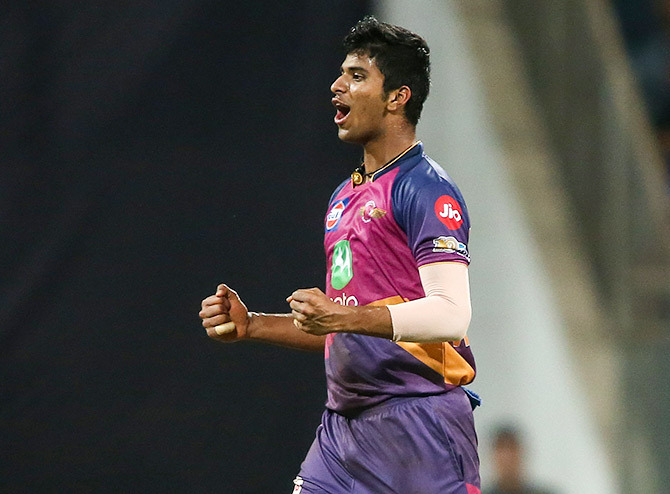 If you are an Indian Premier League fan, you'll be familiar with the name Washington Sundar. 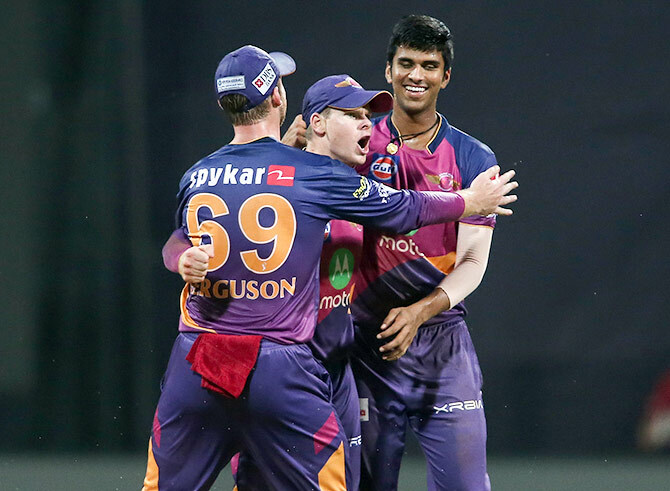 He made his IPL debut earlier this year with the Rising Pune Supergiant and walked away with a record under his belt for the best bowling figures in an IPL final -- 3 wickets for 16 runs. He has also represented India as a batsman in the Under-19 World Cup squad and made his first class Ranji Trophy debut for Tamil Nadu last year. 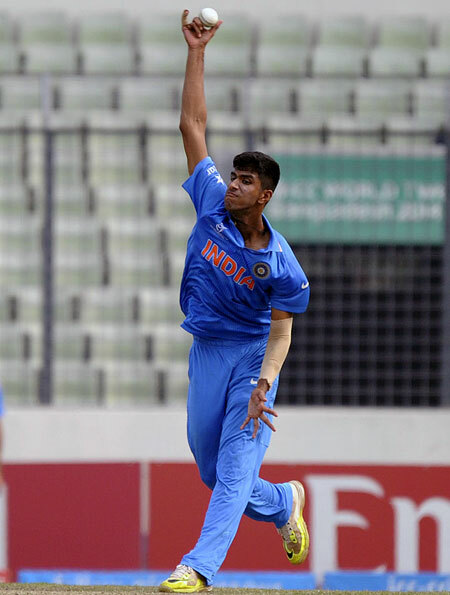 A week before his 18th birthday -- which he celebrated on October 5, 2017 -- Washington was declared Man of the Match in this year's Duleep Trophy final. Washington had match figures of 11/181 -- his maiden 10-wicket haul in first class cricket. He also scored 88 and 42 in what was an incredible game for the teenager. What stands out besides his impressively growing cricket achievements is his first name, Washington. His name, he explains, is a tribute to his father's mentor, an ex-army man, P D Washington. Sundar, the cricketer's dad, was poor and P D Washington paid for his school uniform, his school fees and his books. P D Washington would also ferry Sundar to cricket grounds on his cycle for practice sessions and applaud his cricketing achievements. Sundar ended up playing for the Tamil Nadu Cricket Association's first division. P D Washington passed away in 1999 and when Sundar's son was born a few months later, Sundar named him Washington after the man who changed his life. 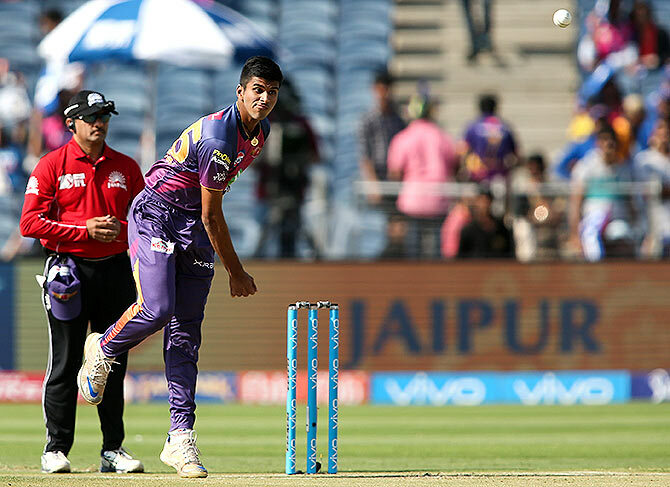 Like his father, who was his first cricket coach, young Washington is serious about his cricketing dream and shares the same passion as every Indian who wields the bat or twirls the ball -- to represent India at the national level. Washington Sundar spoke recently to Rediff.com's A Ganesh Nadar in Chennai. I think I started playing when I was four years old. I still remember going to the ground, after school, with my father when I was in upper kindergarten and practising with him. My father used to play cricket regularly and I would attend all his matches and practice sessions. I became interested in the game at a very early age. You have a sibling as well. Yes! My elder sister, Shailaja. She plays cricket too. She has played for the South Zone. I've heard you get up early so that you can practise for three hours every morning. Then, you are playing matches. When do you study, play games and watch movies like other youngsters your age? To be honest, you don't get time to see movies or spend time with friends. Cricket is my passion. I love playing the game. People go to office, and students go to college, from 9 am to 5 pm, but they do it because they have to. They don't enjoy what they are doing. Cricket may be stressful and very difficult, but, when it's your passion, you learn to love it; you enjoy it. I don't really miss seeing movies or spending time with friends. Cricketers are grateful to part of a sport that is loved by so many. Cricket is not just the most important thing in my life; it is the only thing in my life. There will come a time when I no longer play cricket. At that time, I will see movies and spend time with friends. So you think cricket, breathe cricket and live cricket? No! Definitely not. If you do that, it will cause stress. If you think of cricket all the time, when you finally get on the ground and are ready to bat or bowl, it will put you under tremendous pressure. I never think about cricket off the ground. I don't carry it with me when I go to sleep or discuss it while I am having lunch. Cricket is for the ground and I keep it there. I prefer not talking about cricket off the field. Do you want to be known as a batsman or a bowler? I want to be known as a good all-rounder. I should not say this, but I find it boring to field for 50 overs or 90 overs. I want to do something more and therefore I started bowling. Now I can contribute to my team with my bowling too. You seldom spin the ball or flight it. I am an off-spinner. I know how to bowl the perfect length. I know to spin and flight the ball when needed. I do what is needed at that point in the game. How would you rate your stint with the Rising Pune Supergiant in IPL 2017? Next year, there will be no Pune or Gujarat team. The original Chennai and Rajasthan teams will be back. When will you play for India? 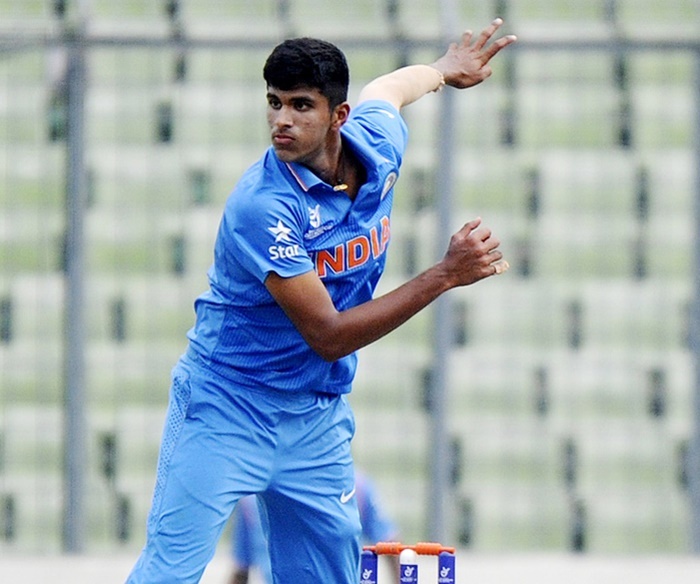 Will you go from playing the Ranji Trophy and Duleep Trophy to getting into the national team? You can be chosen for the national team from the IPL too. You never know where and when the call will come. You just continue playing your best. That's all you can do as a player. I play for the MRF company team. I play for a different team in the Tamil Nadu Premier League. MRF is a club that plays in the first division. How much did you score in Class 12? I got 68 per cent. The exams were soon after the (Under-19) World Cup, so I had only 12 days to study. I did not go to school after Class 10; I did Class 12 privately. I plan to do an BBA or BA with a major in English. I get up at 6 am and practise cricket from 7 am to 9 am. Then I come home and, sometimes, meet friends. In the afternoon, I go to the gym. I train at the MRF Pace Academy. Glenn McGrath, the Australian cricket legend, is its director. What kind of a person is he? He is very humble and down to earth. Anybody can get along with him. You can learn a lot of things about cricket from him. He knows so much. He is a gentleman. He has been at MRF for four or five years now. Does he talk about Sachin Tendulkar and their famous duels? He has a lot of respect for Sachin. Don't girls send you WhatsApp messages? (smiles shyly) They do! I don't respond.